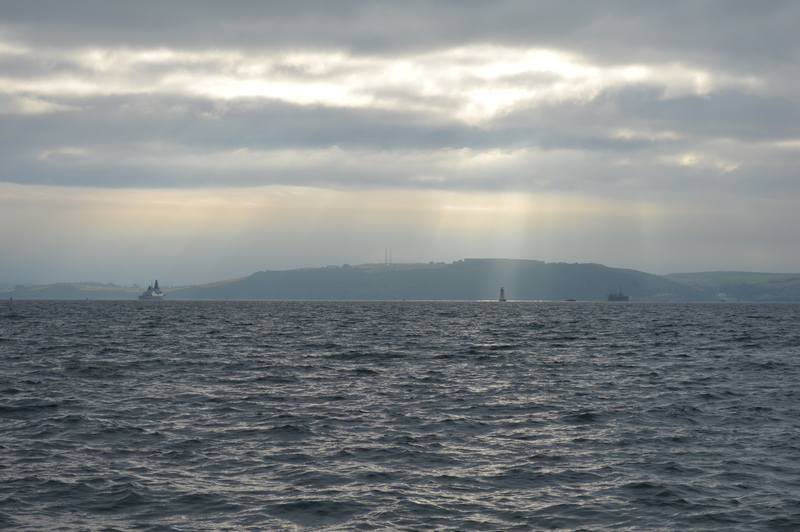 My intention was to cross to Cawsand and anchor up for the night. Zephyrs began to ruffle the water and I could see that at least one yacht had some wind off the proposed anchorage (see featured image at the head of the post). I killed the engine, eased the sheets slightly and settled down to a peaceful sail. A slack ridge of high pressure covers the United Kingdom today and much of tomorrow, but an area of low pressure is expected to affect northern and western parts of the country tomorrow night. 24 hour forecast – Wind: Southwesterly 2 or 3, veering northeasterly 4 or 5 later west of the Lizard, becoming variable 3 or less elsewhere. Sea state: Slight or moderate, occasionally smooth later. Weather: Occasional rain or drizzle, fog banks. Visibility: Moderate or good, occasionally very poor. Outlook for the following 24 hours – Wind: Variable 4, becoming southerly 4 or 5, then veering southwesterly 5 or 6 later. 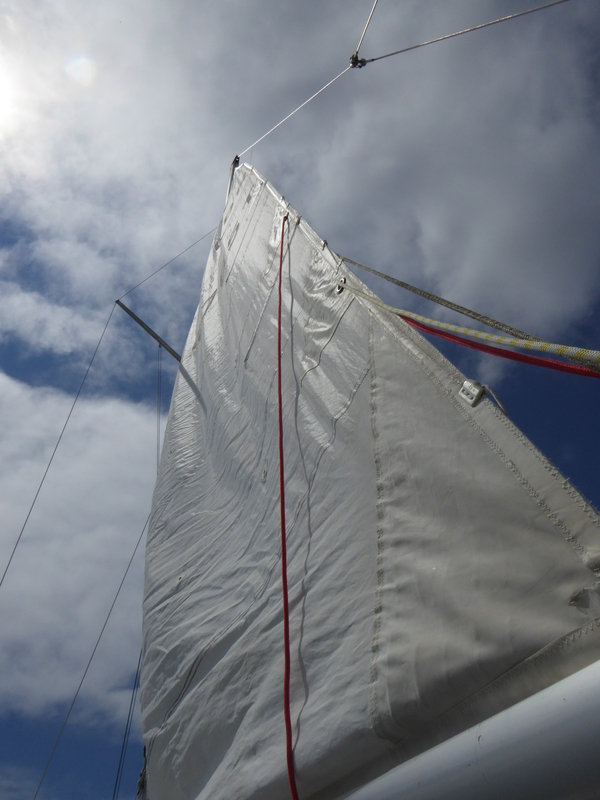 Sea state: Smooth or slight, becoming moderate except in shelter, then becoming rough later west of Lizard. Weather: Occasional drizzle and fog patches, becoming fair later. Visibility: Moderate or good, occasionally very poor until later. 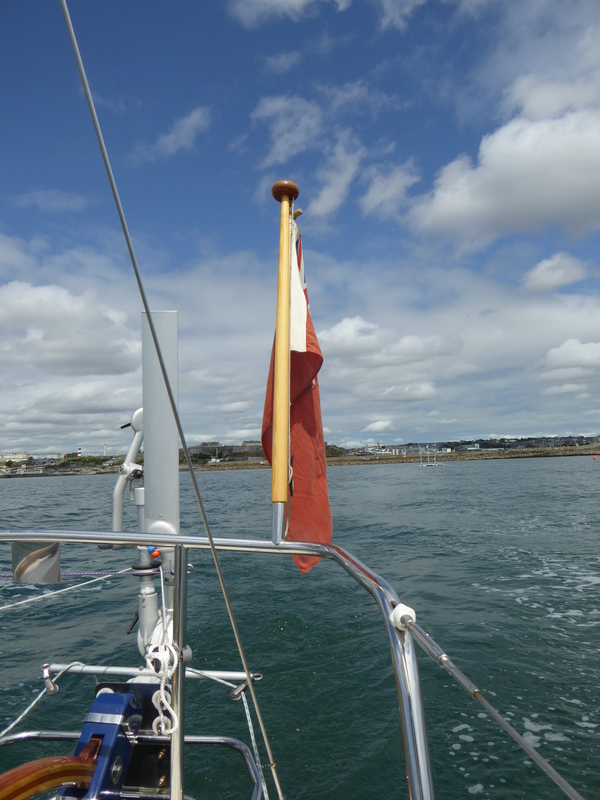 The problem I faced when I got there was that the wind at the anchorage, despite the forecast, was not from the south west but from the east and, according to the “Meteo” app on my mobile, was veering to east south east, which was not a good direction for anchoring in Cawsand. Nevertheless, the wind, although it had increased, was still relatively light and I was intending to leave early the following morning. I wanted to spend the night here for two reasons, firstly, the subject of my last post and, secondly, its historic associations with the Cawsand Bay Pilots. This is where the pilots that met the ships of the eighteenth and nineteenth century were based – (others were based at Turnchapel). I can’t do better than recommend Tony Carne’s account of their story. He makes the point about the anchorage being exposed to the south east – and the storm at the beginning of 2014 emphasised this, but I felt that the pilots would have thought nothing of today’s wind. Later in the evening, a fishing boat picked up a mooring and the crew rowed ashore much as the pilots would have done. Their boat was gone in the morning. The point about this anchorage is that you are rarely alone. When I arrived there were several boats which had obviously anchored up for the day. When they left later in the afternoon, I moved to a slightly more comfortable spot – it was only slightly more comfortable! A subtext to the day was that anchoring up early meant that I could put time into reading – (“Kinsale Harbour: A History” by John Thuillier – a book I recommend to anyone interested in maritime history. I started it because we are visiting Kinsale next week and became fascinated by the way it dovetailed into the maritime history of the Westcountry). On Thursday morning the wind was rising from the south east and a more distinctive popple forming, so I got away early – a longish starboard tack towards Fort Picklecombe, then straight out the western entrance passed the Drascombe Ledge mentioned in Tony Carne’s article above. I planned to be back on the mooring by around 1400. The wind had risen a little more and I reckoned I could make my waypoint set at 5 miles due south of the Breakwater and back in plenty of time. In the event, I missed the waypoint by only 10 foot which pleased me as it is easier said than done. 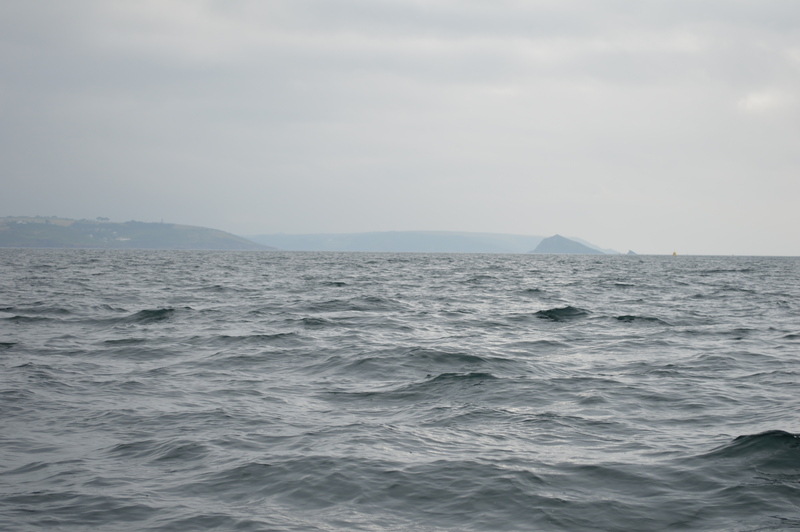 It drizzled a little on the way out and the visibility was reducing, so that, when I went about, The Breakwater, Plymouth, Devon and Cornwall were all hidden by the murk. It was a case of working out a course (this time from the gps) and following it. 030 got me to a point south west of Shag Rock, 000 put me through the eastern entrance. The murk had cleared by the time I was three miles off but it was a good exercise in keeping to the calculated course and assessing the result.